Finally on my birthday, I was taken to see it. The wait was over. I was elated. During the entire movie, Vane and I were absolutely silent. We were focused. I laugh because, I knew the events happening due to the book but looking over at Vane, watching her focus and at times nervous, watching…it was priceless. She’s not a YA fan per say, which made her enjoyment of the movie more fulfilling for me. I love sharing YA goodness with others. Now, remember my “Hunger Games Reading AFTER Watching the Movie Blog”? (click to venture over and read if you haven’t) I definitely did myself a favor by reading Catching Fire BEFORE watching the film. I learned my lesson after Hunger Games. 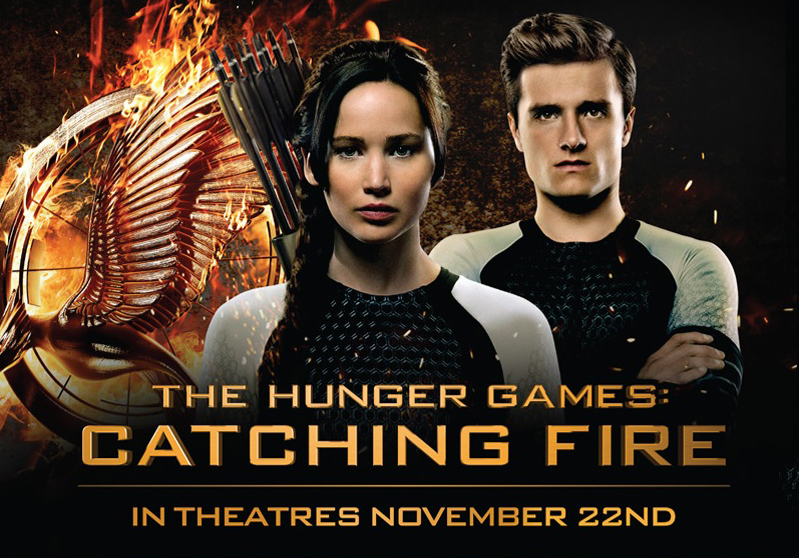 First, to reiterate on my Catching Fire review, I LOVED Catching Fire. It still remains my favorite book of the series. After reading the book, the trailers and previews began popping up everywhere for the movie. 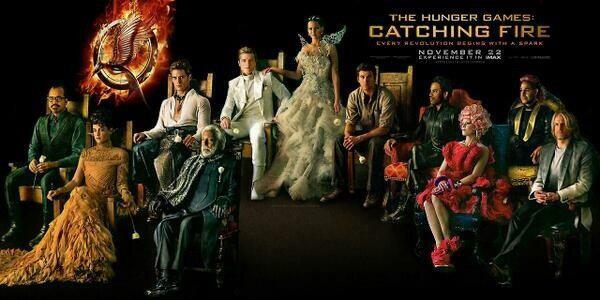 My insides did jumping jacks every time because every moment on the trailers were from the book. I recognized each moment. As a reader, even more so as a YA reader, seeing a Director, Actor, Production company bring to life a world you escaped to and then to see them get it right, that’s a feeling that feels personal and fulfilling–a small accomplishment. This truly was the best Book to Movie Adaptation I have seen to date. Of course there were things that did not end up on the film but when I left that theater, looking back, I have no feeling of lack. I didn’t miss any particular thing they may not have incorporated. They incorporated the entire essence of the book. The two and a half hours–I didn’t even feel them. I could have stayed in there longer and not have known it was even three hours long. Casting was brilliant. The curve ball for me before watching the film, seeing the commercials I thought, “What is Phillip Seymour Hoffman’s role?” I didn’t know he was Plutarch. Everyone from the Capitol is so Capitol-esque–even the last Gamemaker, that his role being Plutarch NEVER crossed my mind. I was surprised to find out he was the new Gamemaker. Now, hello? He’s Phillip Seymour Hoffman and of course, he fit the role brilliantly. I actually prefer his version of Plutarch than the one in my head while reading. Remember how I mentioned falling in love with Peeta during the second book? I had felt as though Peeta grew up in book 2, which made him more attractive, and made me root for him. Well, congrats Josh Hutchinson *claps* you brought that to the screen. I LOVED his portrayal of Peeta in this new season in their lives after the games. 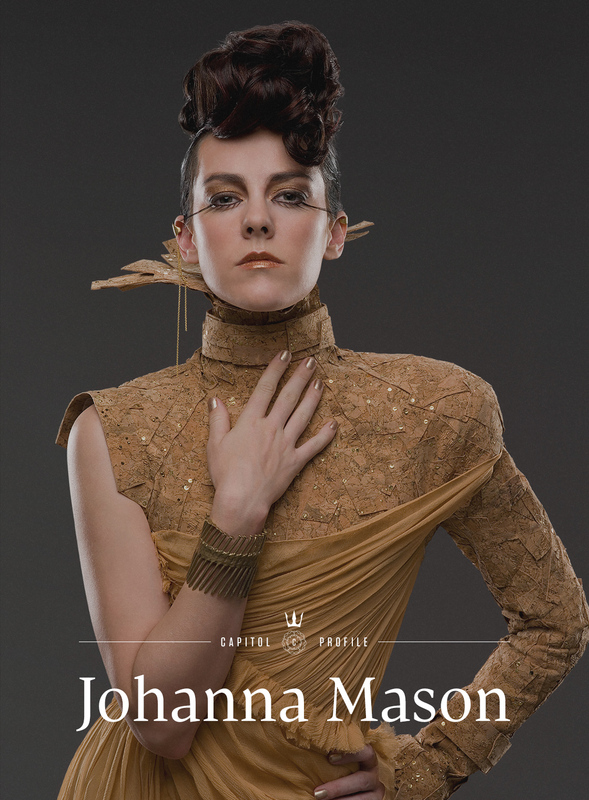 Jena Malone as Johanna? Yes! And as always…Jennifer Lawrence–flawless. 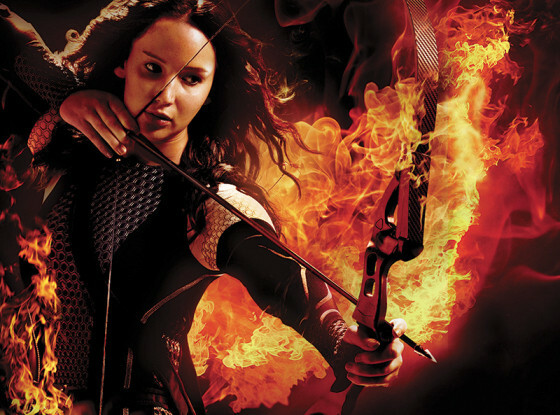 I truly could not picture any other actress pulling off this role of Katniss. I love how you see just in her eyes, her reactions, how and when Katniss is in love with Peeta. Her expressions give it away before she herself even knows it-admits it. 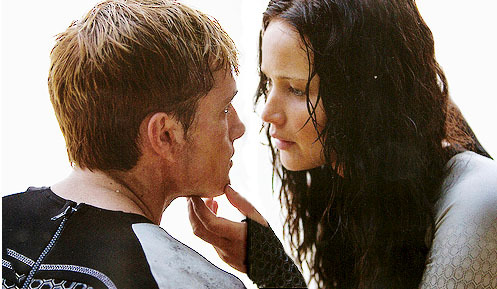 I loved the Peeta and Katniss interactions. FIVE ***** OUT OF FIVE STARS!